Female Garden Hose Thread on one side, 1/2" FPT on the other. Useful piece for adapting Quick Disconnects to Wort Chillers or Water Filters. 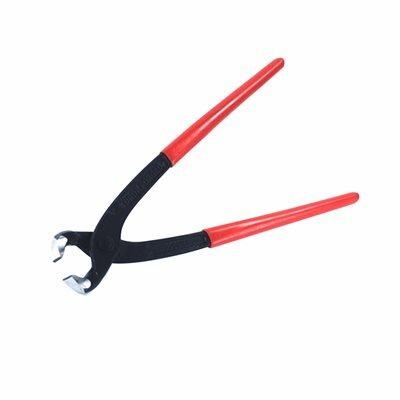 Hose clamp crimping tool. 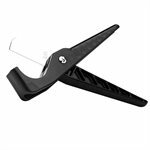 Used to crimp two ear clamps,single ear clamps and the clamp we recommend, the stainless steel stepless clamp. Also used to remove crimp type clamps. Full face crimp blades. Drop foraged steel. Plastic padded handles. This is what we use to cut tubing that you purchase from us. PVC tubing and hose cutter. With stainless steel blade. 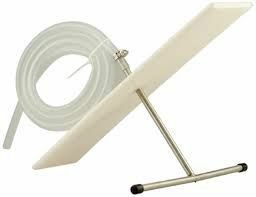 Cuts hose and tubing up to 2" OD. The sprinkler head (11" x 8 1/2") is constructed of stainless steel, our gravity-fed sparge arm is attached to a heavy duty plastic base. By sliding the rotating sparge arm upward or downward within the base, the sparge arms height above the grain bed can be easily adjusted for optimal lautering and reduced hot side aeration. Draws liquid from the center of your kettle to get as much liquid out as possible. Fits into either our Mash Tuns or Hot Liquor Tanks. 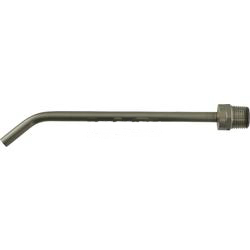 Has a 1/2 inch MPT fitting on the end that screws into the inside coupler of our Heavy Duty kettles. Will only work if your kettle has a 1/2 inch FPT coupler on the inside of the kettle. Will not work with our domed false bottoms. Draws liquid from the bottom of your kettle to get as much of your wort out as possible! 1/2 inch MPT thread fits into any of our Heavy Duty kettles. Will only work if your kettle has a 1/2 inch FPT coupler on the inside of the kettle. Will not work with our domed false bottoms.